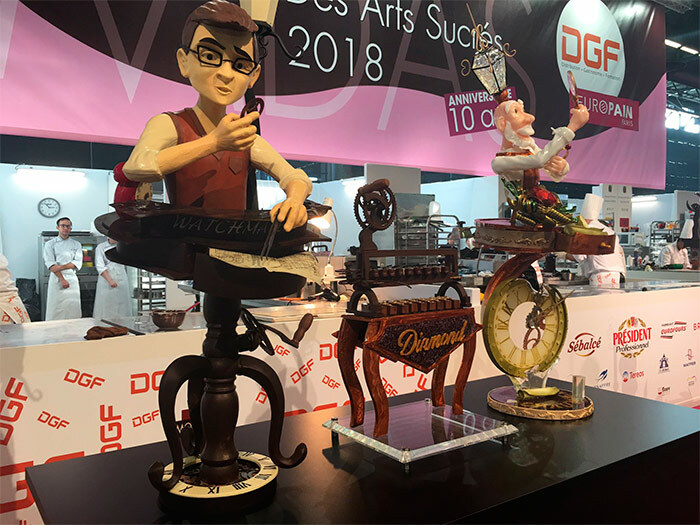 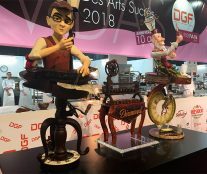 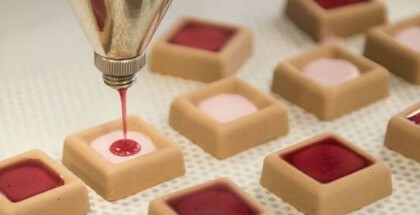 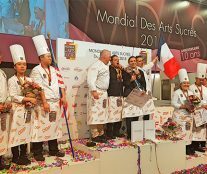 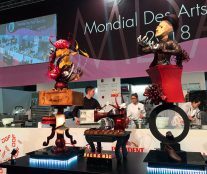 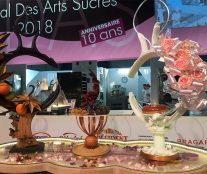 The tenth edition of the Mondial des Arts Sucrés was held in Europain from February 3 to 6. 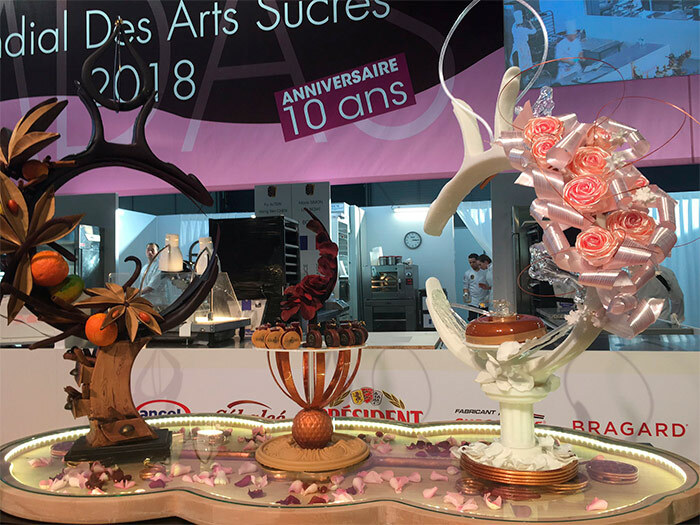 This year’s competition was tougher than in previous editions, since the candidates had 19 hours, instead of 20, to make a restaurant plated dessert, an individual ice cream petit gâteau, an entremet, two types of confectionery products, a sugar piece, a chocolate piece, and a chocolate and sugar confectionery display. 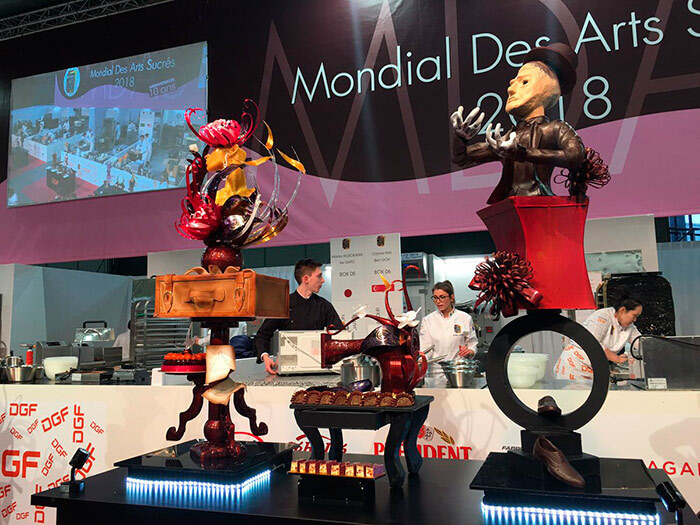 16 countries (Ecuador, Russia, Taiwan, France, Malaysia, Canada, Venezuela, Morocco, Colombia, Ukraine, Brazil, the United States, Japan, Singapore, Mexico, and Georgia) rivalled in audacity and creativity around the theme “French luxury”, although in the end it was the French team, made up of Loïc Beziat and Marie Simon, who took the Gold. 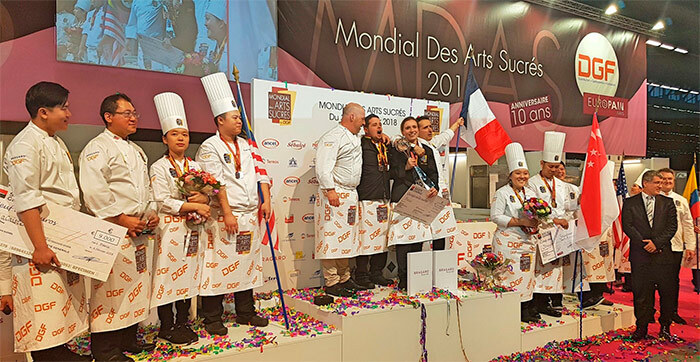 Second place went to Malaysia (Hwei Min Lau and Yap Kean Chuan) and third to Singapore (Carina Tan y Ben Goh).